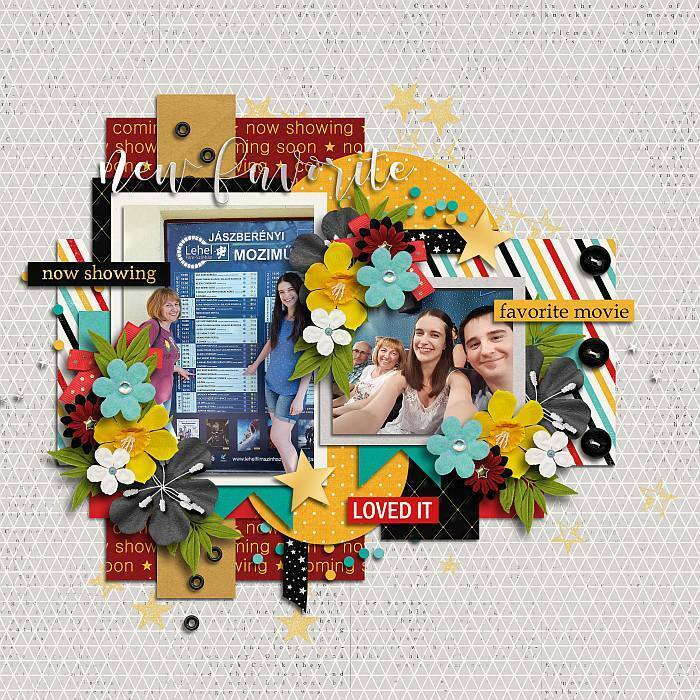 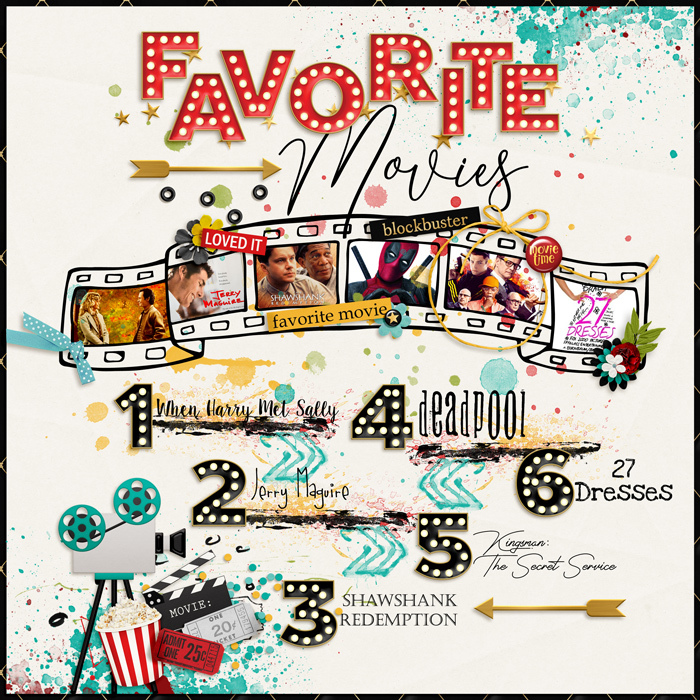 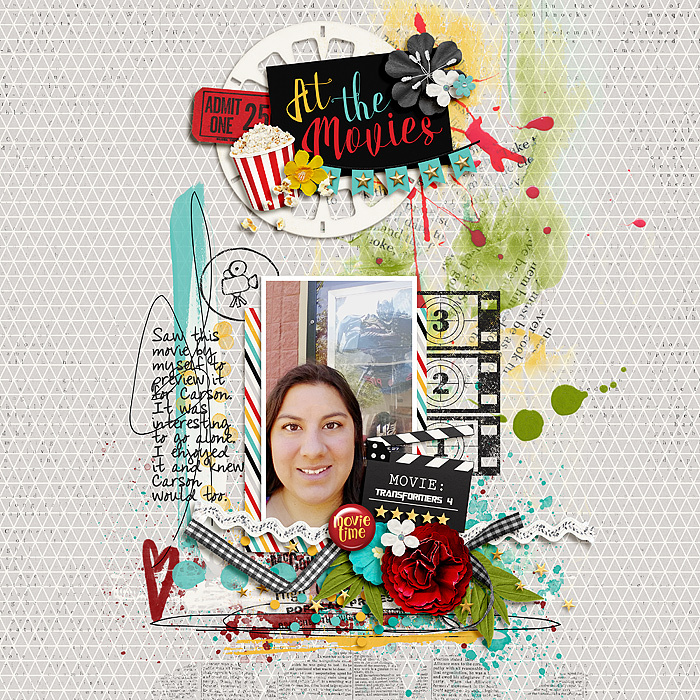 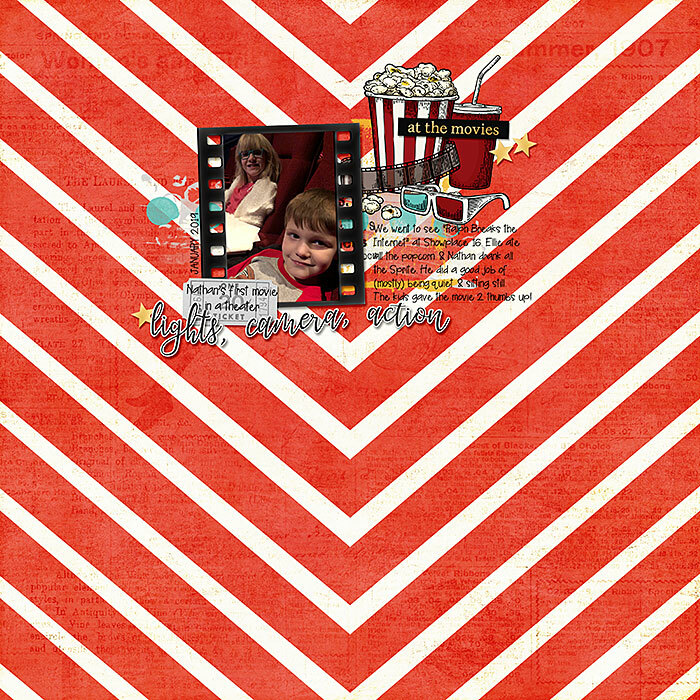 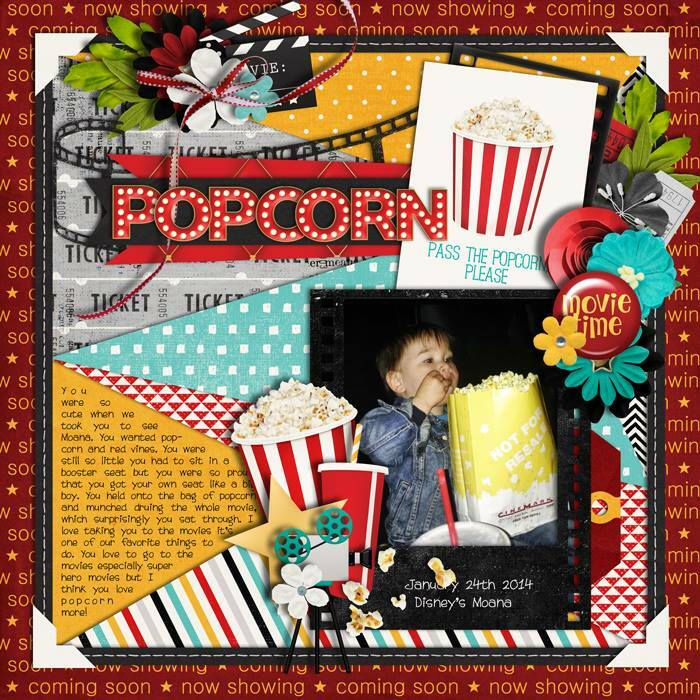 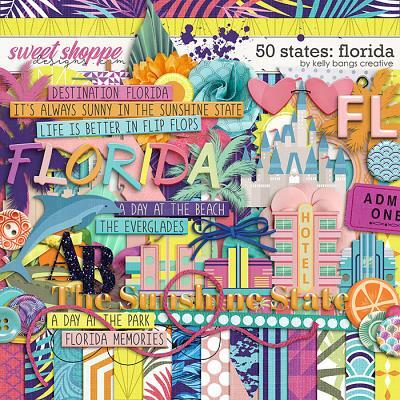 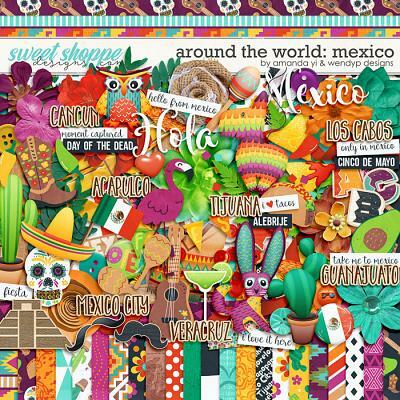 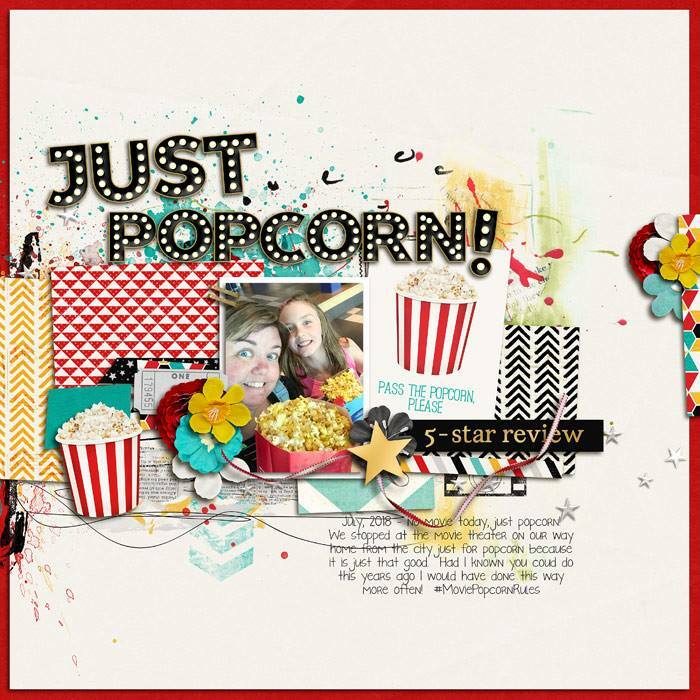 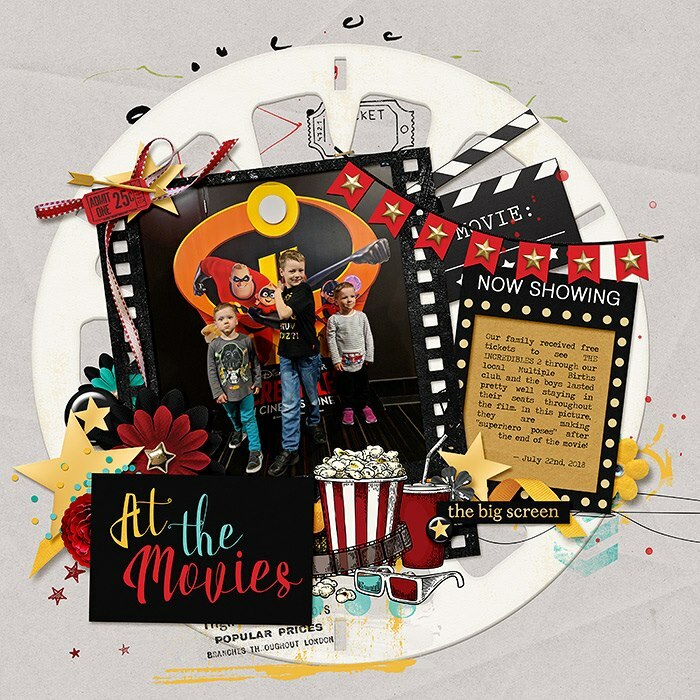 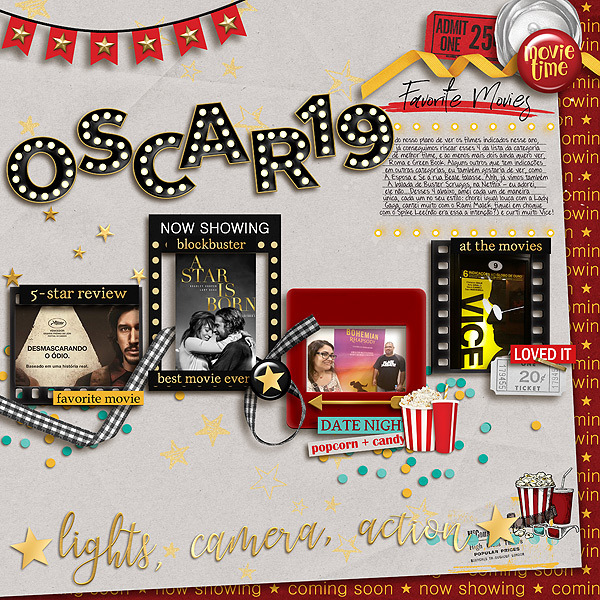 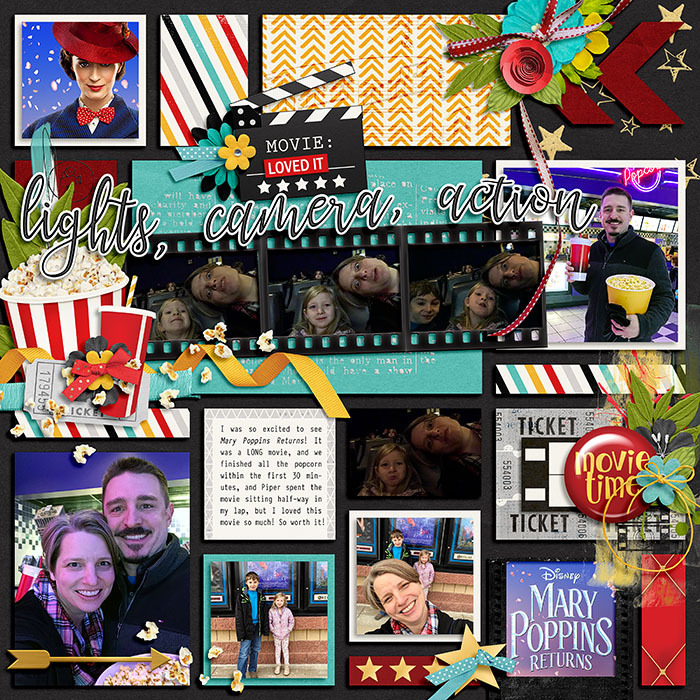 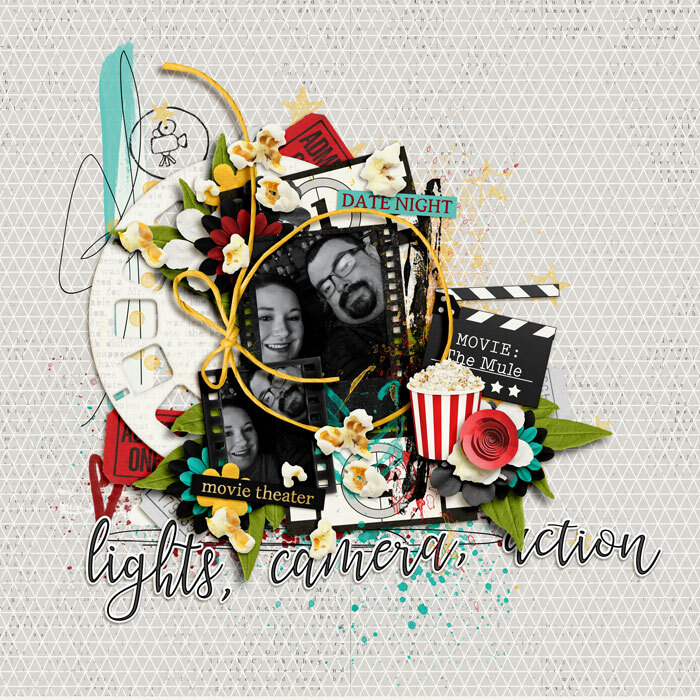 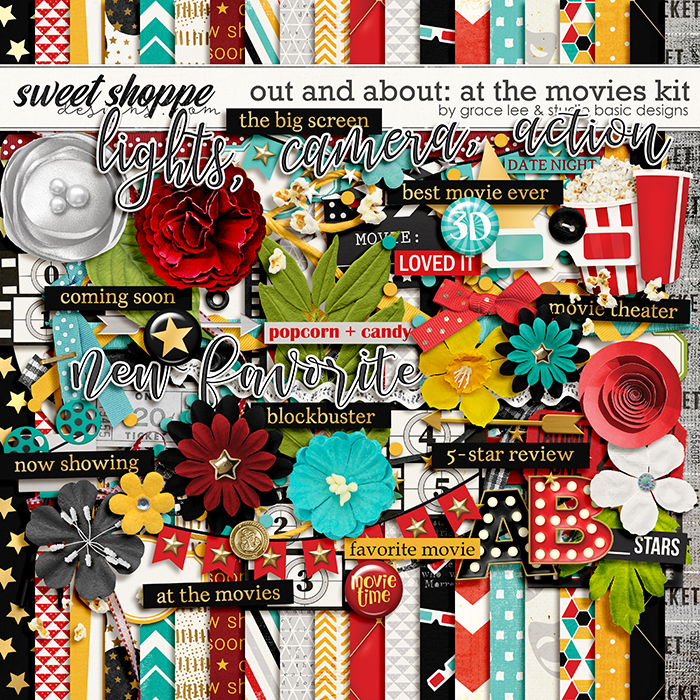 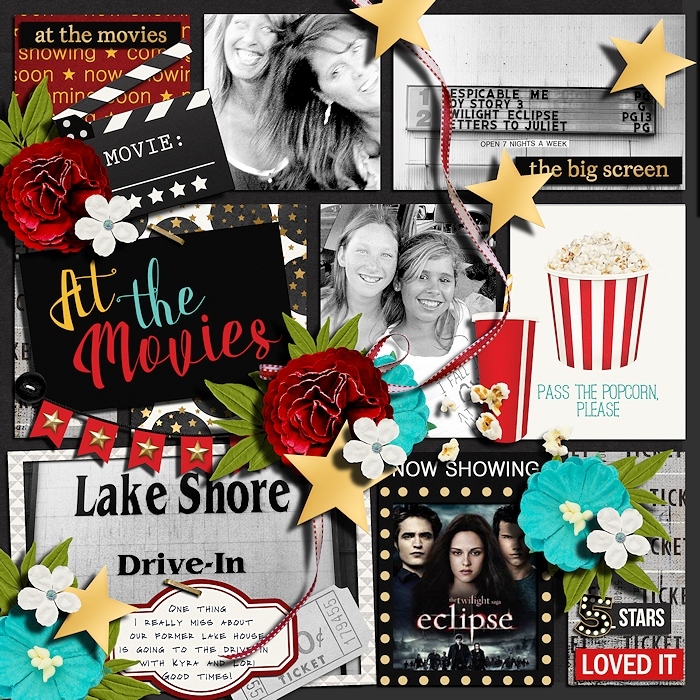 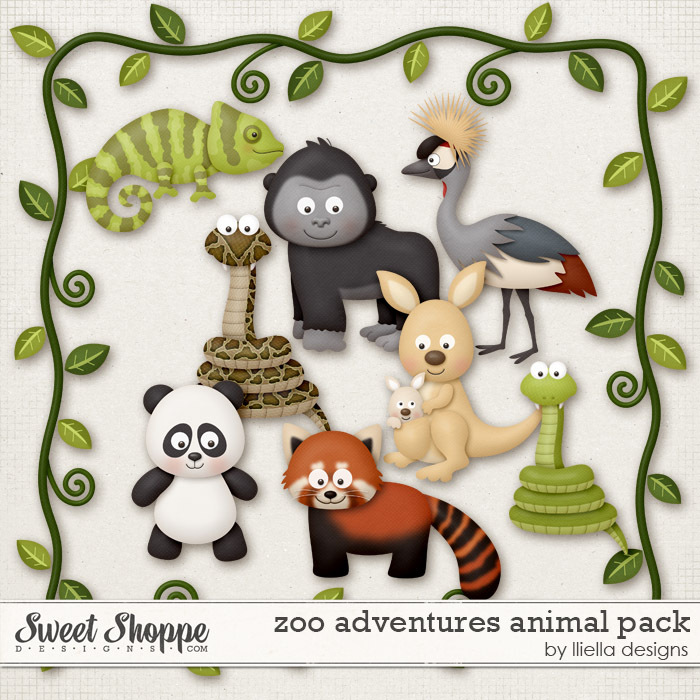 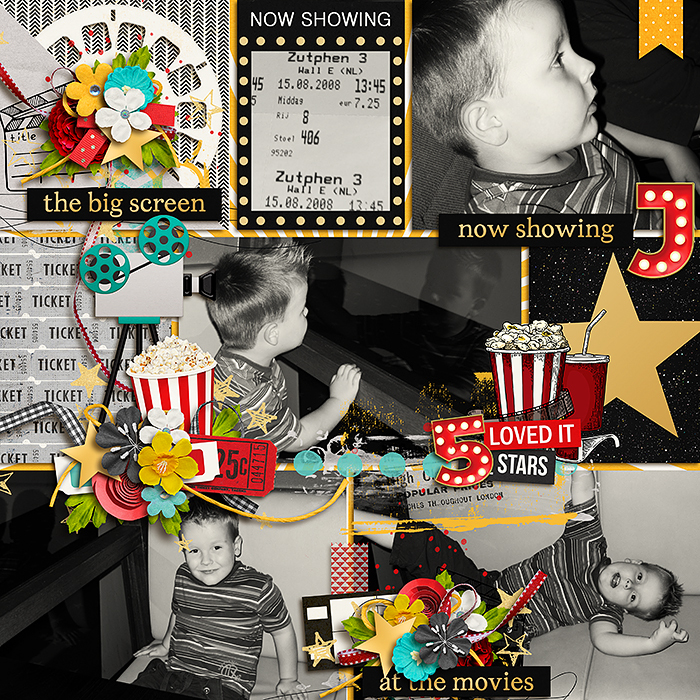 A digital scrapbooking collection by Grace Lee and Studio Basic, Out and About: At the Movies is rolling out the red carpet just in time for the Oscars and for all the movie lovers out there. 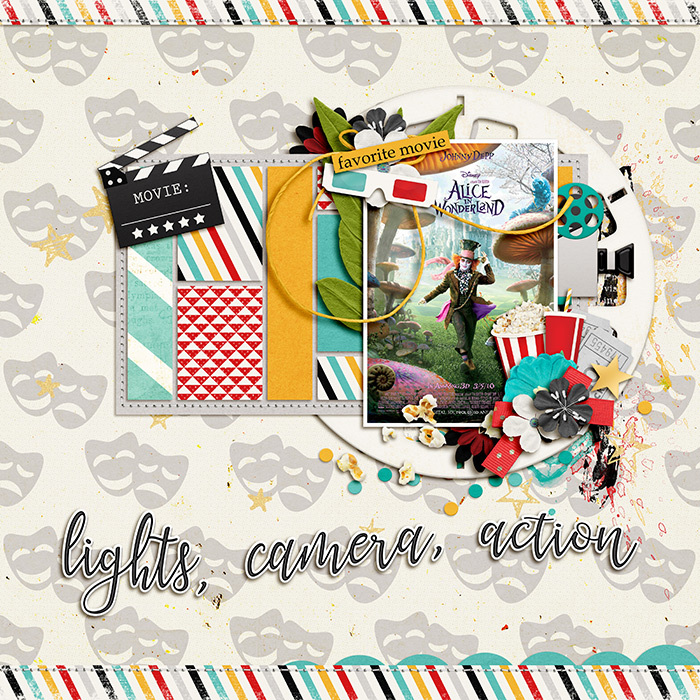 Lights, camera, action! 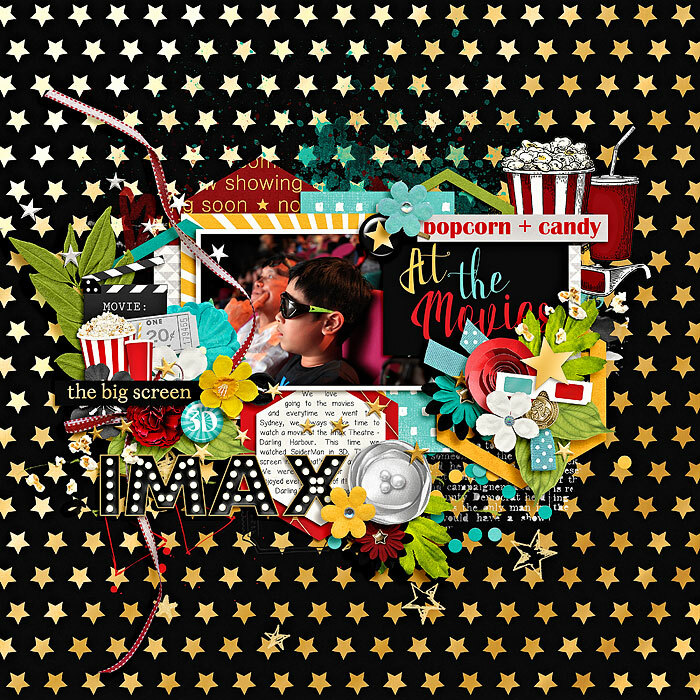 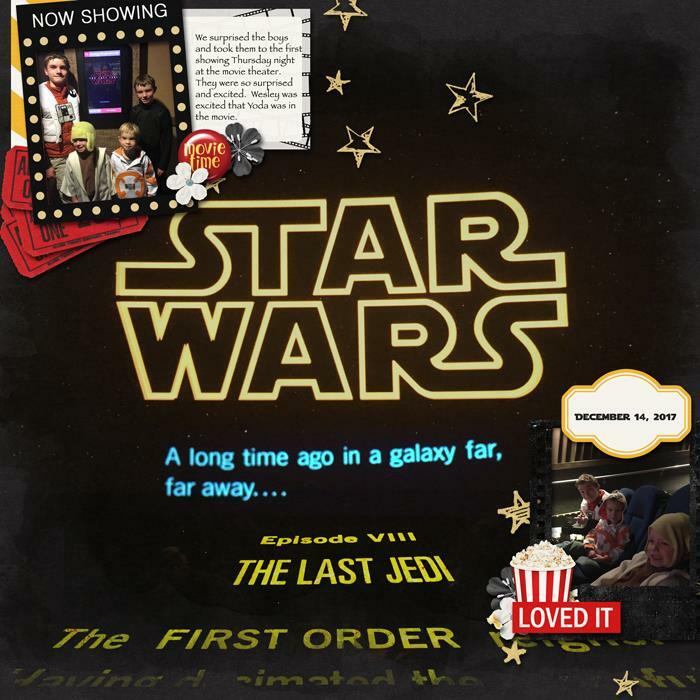 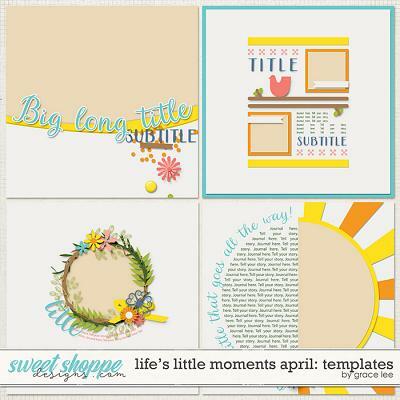 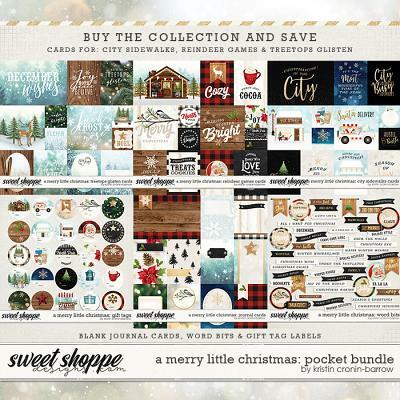 Document nights out at the cinema, drive-in, or binge-watching blockbusters on your couch at home with this star-studded collection.